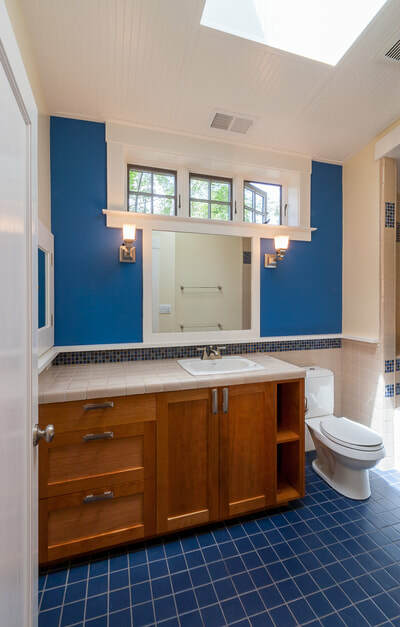 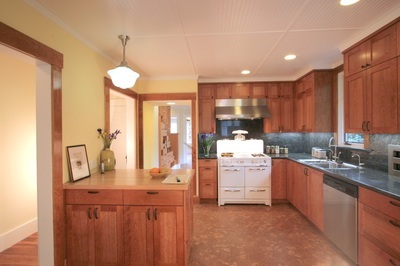 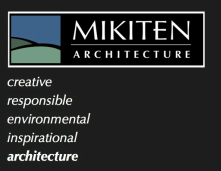 Our home remodel projects reflect the interests of our clients and draw inspiration from the old houses we start with. 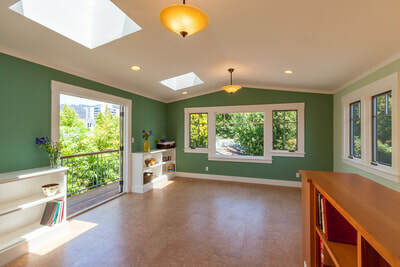 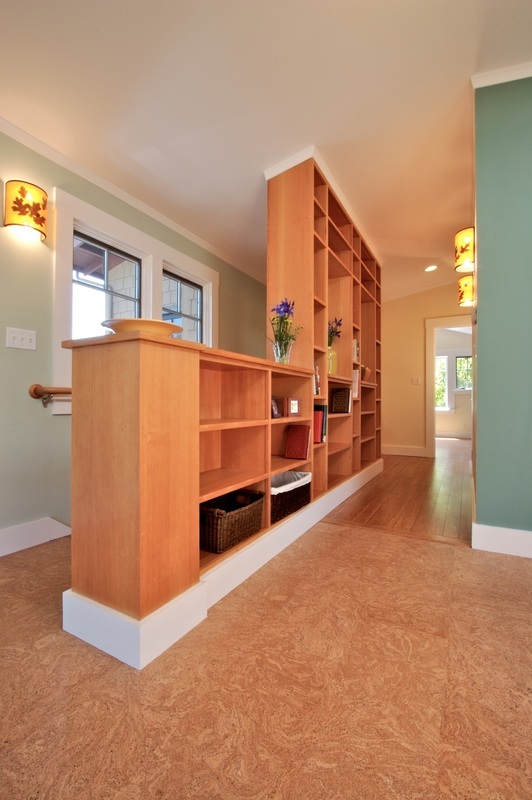 This project was a major remodel and new second floor addition for a pair of secondary school teachers. They bought the house in the 1970’s, brought up three children in it, and were about to retire. 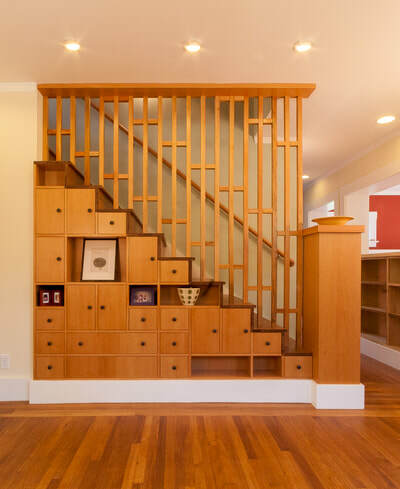 They wanted to transform the home into a place they could enjoy in their retirement, do all the art and research projects they had put off for years, and which would better-accommodate their extensive collection of books - a place where they could live comfortably into old age. 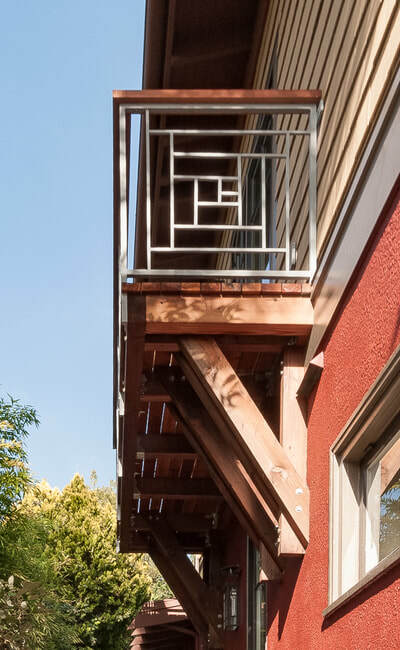 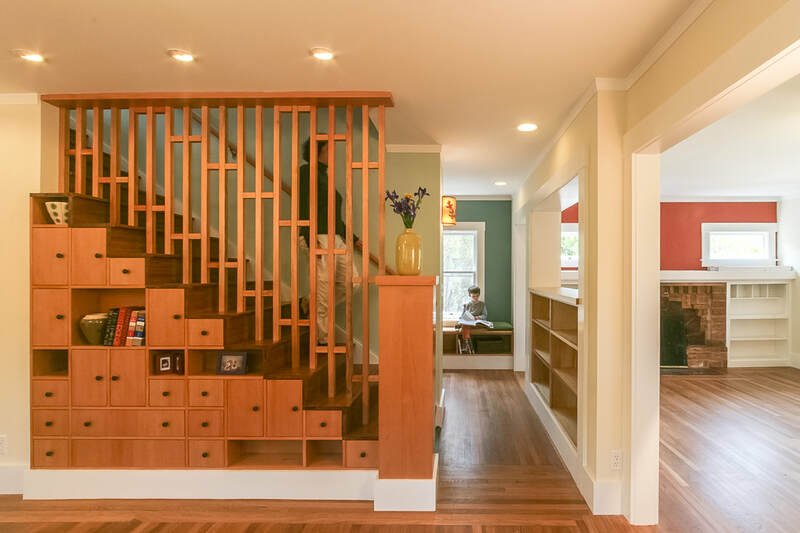 The existing house had only a little nice detailing, but we enhanced it and brought the simple Craftsman aesthetic more toward Craftsman’s Japanese roots. 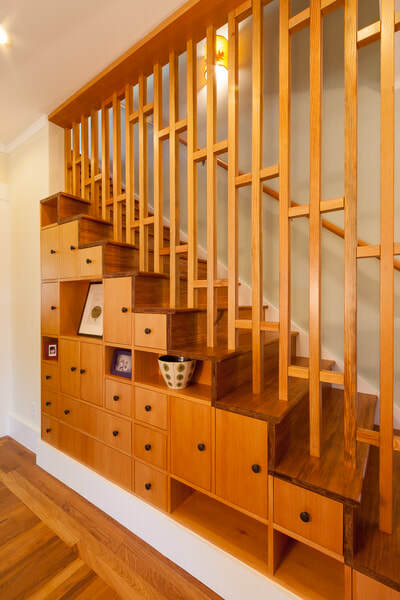 A new stair at the heart of the house is open to the dining room, and has a Japanese joinery-inspired screen. 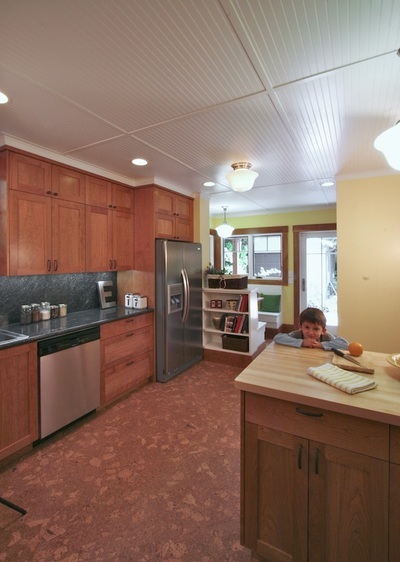 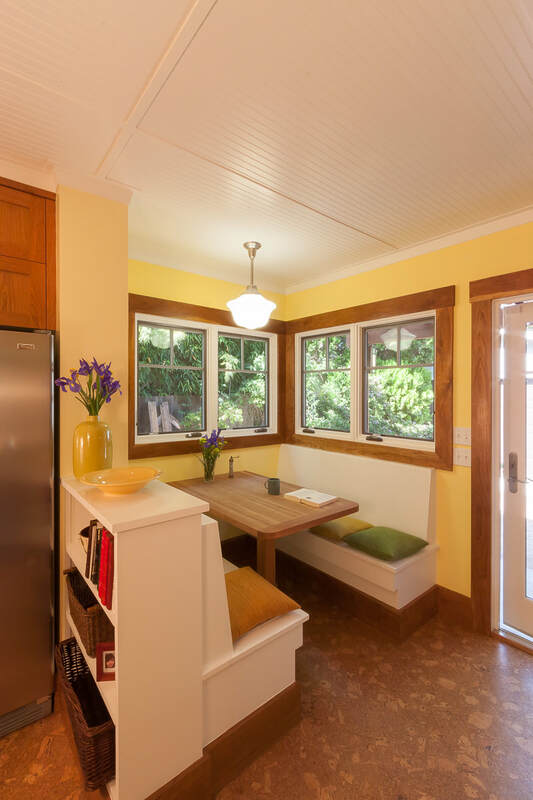 The Japanese roots of the Craftsman style home inspired cherry tansu-style cabinetry under the stair. 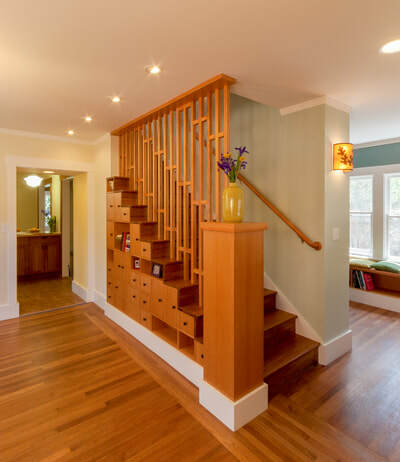 Lighting and color design for the interior and exterior brought old and new together.